Mayo's county town is seeking to establish itself as the Gin Capital of Ireland. 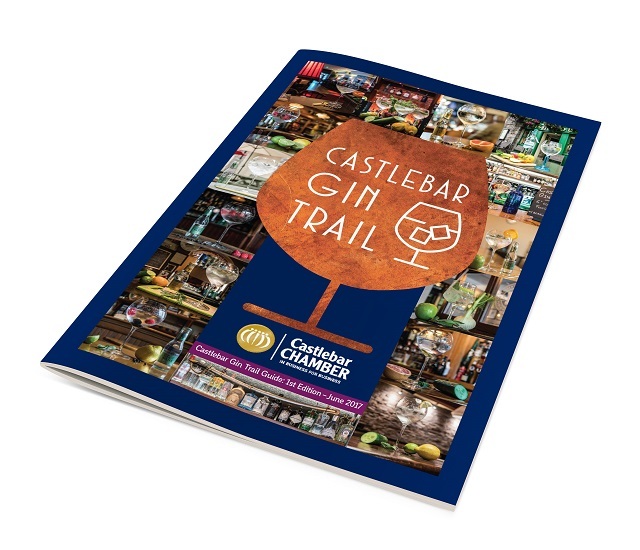 Castlebar publicans have teamed up with the local chamber of commerce to launch a unique gin trail that will begin this coming June Bank Holiday weekend and continue for the foreseeable future. The launch party will take place in the Connaught Inn, Spencer Street, at 8pm on Friday, June 2 and everyone's invited! 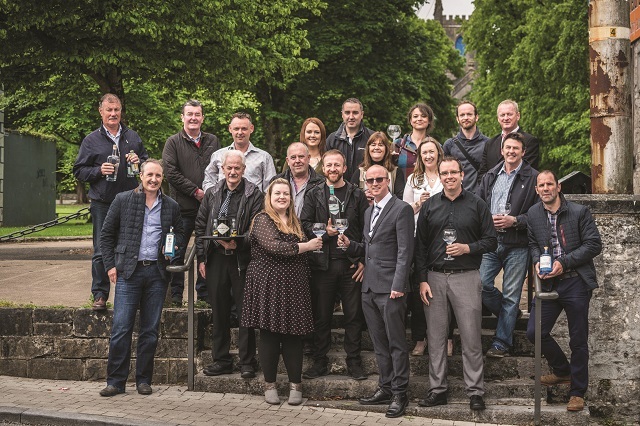 Castlebar Chamber of Commerce members and 15 local publicans have come together to launch Castlebar Gin Trail. Their aim is to make Castlebar the ‘Gin Capital of Ireland’. The trail will begin on Bank Holiday Friday, June 2 and run for the foreseeable future. The launch party will be held in the Connaught Inn on Spencer Street on Friday, June 2. The 15 pubs working together on the trail are: Mick Byrne’s, The Bungalow, Bridge Street, Mulroy’s, The Irish House, Johnny McHale’s, Bar One, Coady’s, Bosh, The Yew Tree, The Cobweb, Rocky’s, The Castle Inn, Tolster’s and the Connaught Inn. The publicans are pictured at The Mall with Castlebar Chamber president, Wilson Bird and gin trail ambassador, Siobhan Foody. Photo: Keith Heneghan/Phocus. The trail is being spearheaded by Castlebar Chamber of Commerce and local publicans, who are looking to put some added fizz into the town's burgeoning social scene. The initiative is just the tonic for gin aficionados and newbies who are curious to learn more about the nation's fastest growing tipple. Dozens of homegrown and international gins will be available on the trail, encouraging locals and tourists alike to try something new and to venture into the many pubs taking part. Each of the 15 pubs involved will specialise in one particular gin, offering it with a carefully curated premium tonic and garnish pairing. A bespoke trail guide and map will make it easy for kindred spirits to follow the botanical path around the town. More ginspiration can be found on Twitter @CastlebarGin and on the Castlebar Gin Trail Facebook page. Chamber president, Wilson Bird, said: "This is yet another positive achievement for local businesses in Castlebar and just a sign of things to come. The response from the publicans has been fantastic. It's great to see what can be achieved when people work together for the betterment of the town." Chamber member, Siobhan Foody, who came up with the concept, said: "There are now more than 30 Irish gins on the market, as well as hundreds internationally. From a consumer's point of view, it's wonderful that Castlebar will be offering such a vast array of these premium gins, tonics and garnishes. The town's bar and restaurant scene has many exciting developments happening right now and long may it continue." Local publican, John Mulroy, said: "Gin is the big new trend and it's terrific to have all the pubs working together to develop it as best we can. 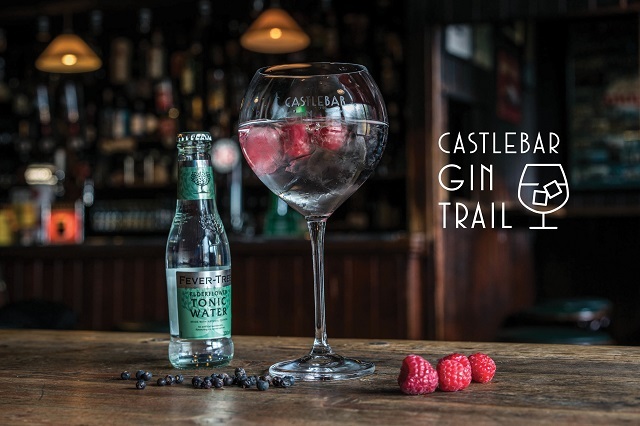 Castlebar hostelries are excited about the trail's long-term potential for the town and making it the go-to destination for gin lovers."